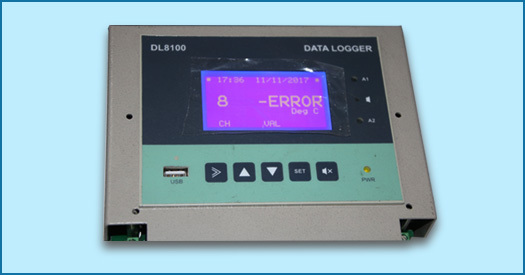 DL 8100 is the latest series of advanced cost effective universal input data logger from Micro Systems & Controls. It incorporates advanced software features and a dual micro controller based design to provide complete user flexibility and can cater to almost all data logging needs of the user. It accepts direct signals from Thermocouples, RTDs and linear voltage and current inputs, as per factory fixed type. Each channel is sequentially scanned and displayed. Windows software is provided for viewing and exporting data in .csv format.